The Russian military is putting the finishing touches to its very own heavy military UAV. The drone is part of a wider modernization effort, with the cutting-edge flagship S500 missile system coming in 2017. The drone “already exists,” according to Russian Deputy Defense Minister Yury Borisov. The heavy UAV, created in cooperation with the Federal Security Service (FSB), will perform “a variety of tactical, operational and strategic tasks,” said Borisov, but he didn’t give any further details such as the name of the vehicle. The Russian government is expected to release several innovations and upgrades in the near future, as part of defense modernization. Borisov mentioned at least four current projects, now "in their final stages of development." The new S500 is rumored to be able to engage 10 missiles at once and have a refined radar system, as well as make speeds of up to 4.3 miles per second. 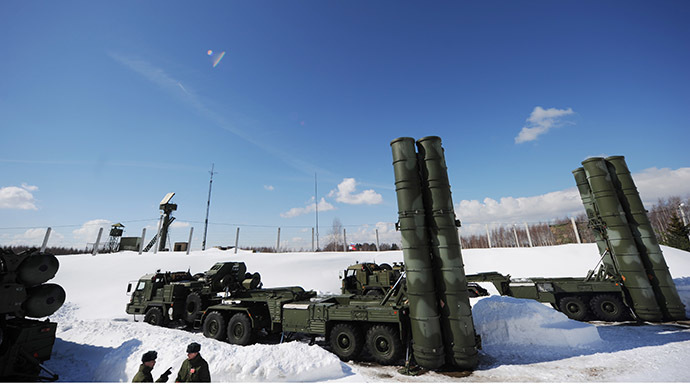 It’s also expected to rival US tech, which currently touts the RAS3 Patriot missile defense system against the S400. In the meantime, the Russian-French standoff with the delivery of the Mistral helicopter carriers has led to Russian readiness to accept almost any way out of the deadlock. The Defense Ministry disclosed on Saturday the figure it paid upfront for the Mistral delivery that never came. “We paid one billion euro upfront, France has received payment. If it is unable to deliver Mistral, we intend to raise the issue of the repayment of debt,” Borisov said. The Russian side is “open to any civilized solution to this situation,” whether it includes delivery or a return of the money spent, he stressed. The deputy minister also pointed out that either outcome will have no bearing on the ongoing modernization of Russian defenses. The Ukrainian crisis has strained relations between Russia and France, with Paris putting on hold the delivery of the amphibious assault ships to Moscow. President Francois Hollande is already wary of the strain foreign sanctions are putting on Russia, which he says are having an effect on Europe as well.